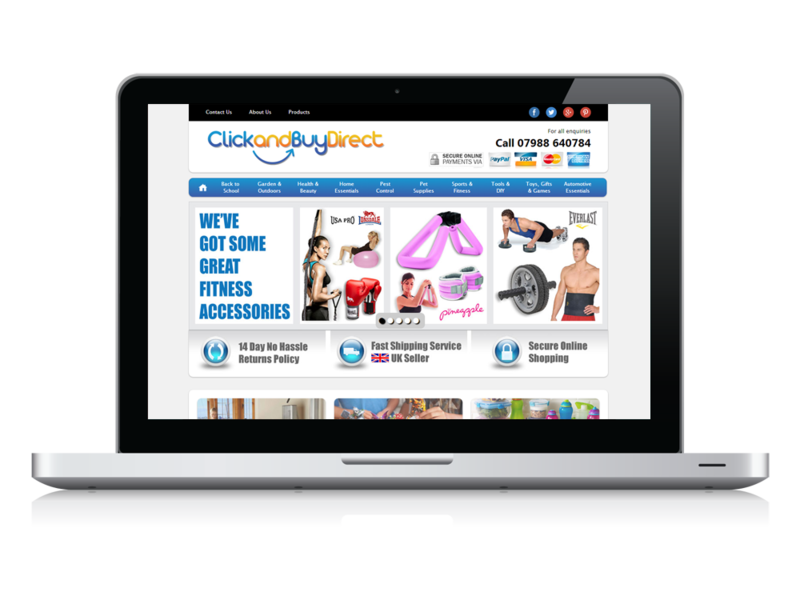 Click and Buy Direct came to us to increase their online presence. They already sold on Ebay but had no website or social media campaigns. We created them a stylish modern brochure website which enabled them to showcase their products to customers and suppliers. They also signed up to our social package, which consisted of social campaign management of Facebook, Twitter, Google+ and Pinterest.